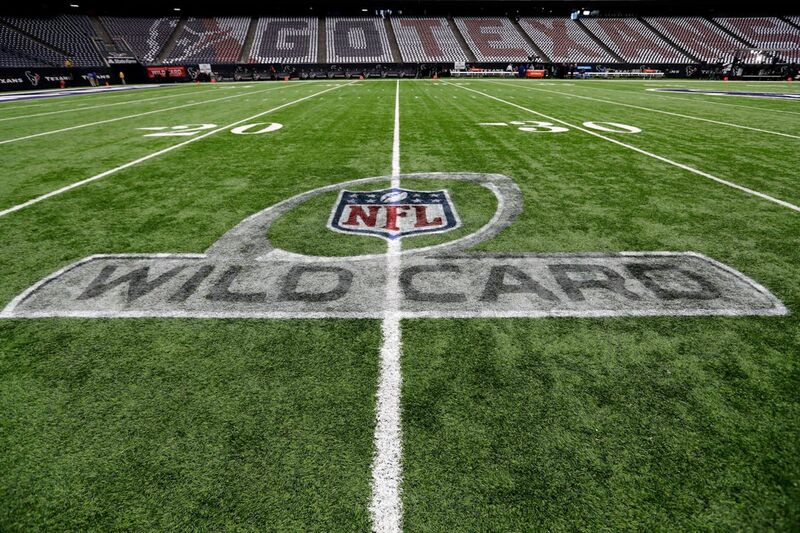 Welcome to wildcard weekend and the NFL playoffs! 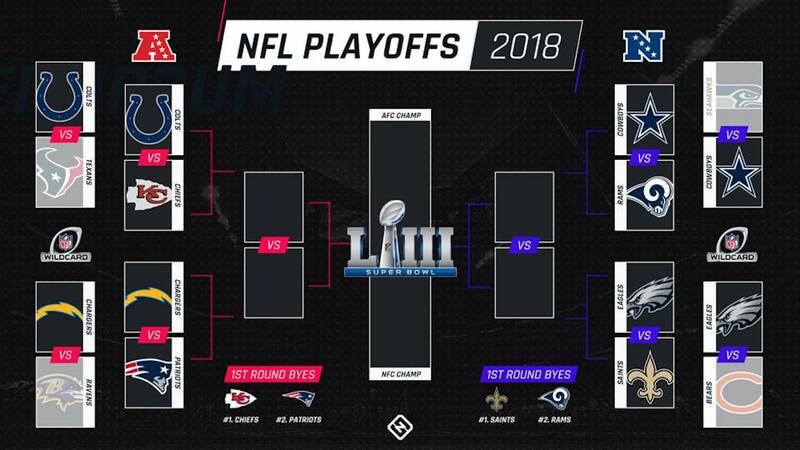 With your fantasy season over, the playoffs are the perfect holdover between now and when the RSO site reopens a few days after the Super Bowl. We have three lines below three points and the defending champions +6.5 on the road in Chicago. 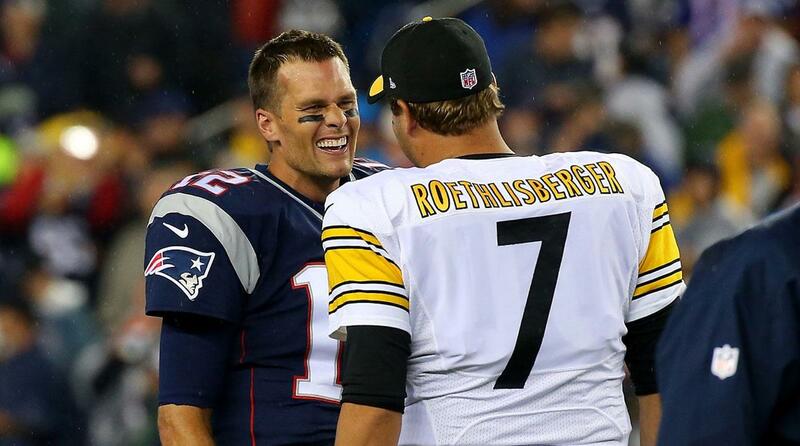 The games should be highly entertaining this weekend. 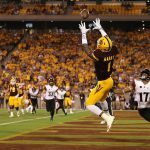 Like last year, some of the RSO Writers have made their predictions for and given a little analysis of each game, which can be found below. Sit back, relax, and enjoy the weekend! Stephen Wendell: Andrew Luck quietly has gotten his team back to the playoffs, which is a good sign for the future of the Colts. However, Deshaun Watson is back to looking healthy and I think he and his other Clemson buddy DeAndre Hopkins are too much for the Colts to handle in the end. Projected Score: Texans 28 – Colts 21. Matt Papson: Both teams enter the playoffs red hot, tying each other at 9-2 their last 11 games. An incredible story for the Colts, with Andrew Luck returning from a devastating injury, barely able to throw a football a year ago, first year Head Coach and second year GM Chris Ballard making the best use of their personnel. The colts and Texans May battle for the AFC south for years to come. The Texans also have a great story, with Bill O’Brien going from the hot seat to coach of the year candidate, an incredible defense, deshaun Watson’s return from his own injury, and the passing of Bob McNair, the team’s founder and owner, as inspiration. Ultimately I think the Texans win a tight thanks to their defense. Projected Score: Texans 27 – Colts 24. Kyle English: I am not about to pick against the Colts who have been on fire lately (Editor’s Note: and our my favorite team). Projected Score: Colts 27 – Texans 24. Matt Goodwin: With some assistance from my 8 year old son Jory who wanted to pick these games with me, here we go. Both division rivals won on the road in this series this season, with the Colts winning 24-21 to start their four game winning streak. I think (and Vegas agrees) that a similar score is in order for this game. TY Hilton has performed very well in Houston in the past. However, I think the Texans defense will cause a lot of problems/turnovers for Andrew Luck even with an improved Colts offensive line and the Deshaun Watson/DeAndre Hopkins will shine in this game, giving the Texans the edge. Additionally, Ka’imi Fairbairn was the best kicker in the game this year and is practically automatic at home (18/19 for the season). Projected Score: Texans 27 – Colts 20. 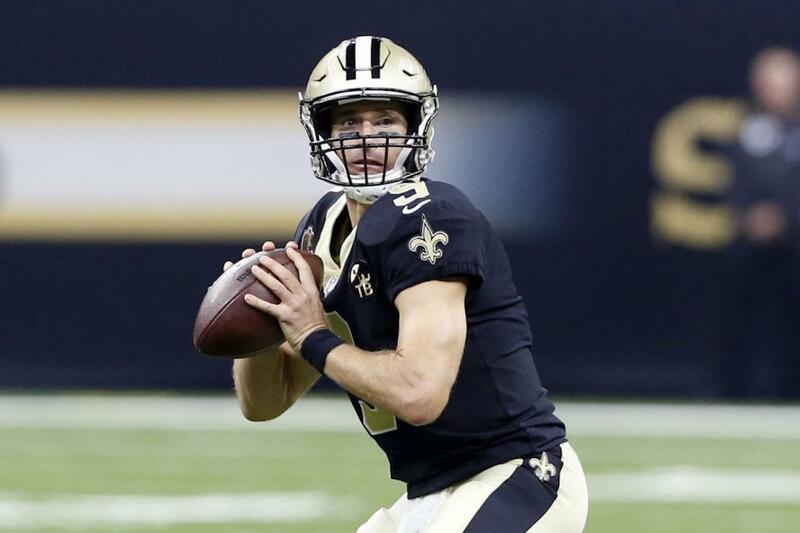 Nick Andrews: This matchup is probably the least interesting to the casual football fan but by the end of wild card weekend, this may be the biggest nail-biter. The Colts have looked solid in the final quarter of the season with a shutout win over Cowboys and a victory over these very same Texans just four (4) weeks ago. If the playoffs started in December the Texans would have been the hottest team entering the tournament but losing two of their last four games has put them in a bit of a slump. The playoffs sometimes have teams roll through a couple weeks on pure momentum and after a must win on Sunday night last week I think the Colts are going to be coming out of the gate a little faster than the Texans. Colts 27 – Texans 24. 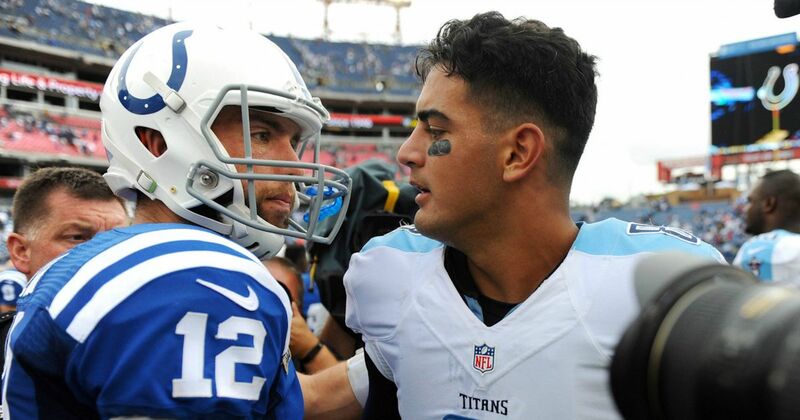 Bernard Faller: The AFC South rematch resumes with both teams posting identical points scored and 1-1 records against each other this season. The Texans’ weaknesses jump off the page when compared to the Colts. Houston’s offensive line is still a mess while the defensive secondary is exploitable if Indianapolis’ stellar offensive line can contain Watt and Clowney to a degree. Expect another tight one. Projected Score: Colts 31 – Texans 28. Luke Patrick O’Connell: The FantasyDocOC is letting his scores speak for themselves this week. Projected Score: Colts 24 – Texans 21. Stephen Wendell: Seattle has had a remarkable year and Pete Carroll deserved the contract extension but they are 4-4 away from the friendly confines of CenturyLink Field, and Dak + Zeke + Cooper will be too much for the Seahawks in Jerry World. Dallas wins and covers. Projected Score: Cowboys 28 – Seahawks 21. Matt Papson: The Cowboys have been great at home this year, but I don’t think this team is ready for this moment. With Kris Richard getting looks from other teams as a head coaching candidate, it will be interesting to see if Jerry finally decides to move on from Jason Garrett and again replace from within. This Seahawks team could be dangerous in the playoffs, though they’d need to win two road games, and have the eagles win two road games, in order to host the NFC championship in Seattle. I don’t think this one will be as close as the line suggests. Projected Score: Seahawks 31 – Cowboys 16. Kyle English: Both teams have been on a roll, but I’ll take the Cowboys at home. Projected Score: Cowboys 20 – Seahawks 17. Nick Andrews: This game is either going to be the highest or lowest scoring game of the week, there’s no middle ground. 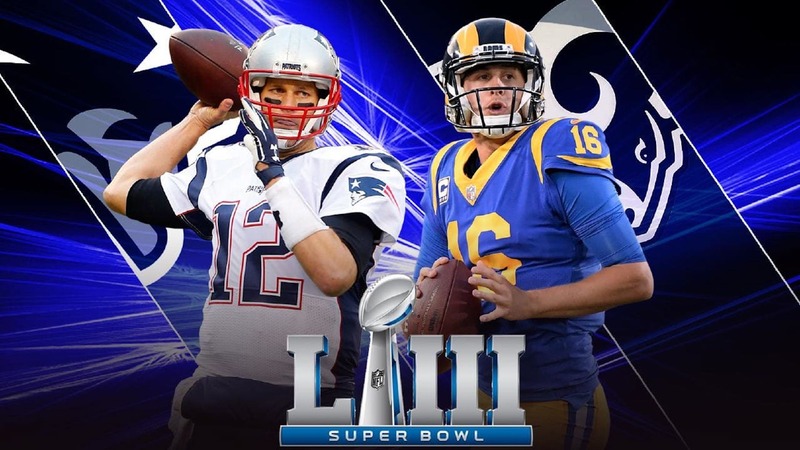 Both teams want to run the ball as much as they can to get down to the final possession and have a chance to either score the game winner or milk out the clock. Sure, there will be some big plays in the passing game between Lockett, Baldwin, and Cooper but I think both sides would be more comfortable if their running game had close to 30 touches and 150 yards on the ground. Red zone trips will become the premium and whichever teams make at least 2 red zone touchdowns will in the game. Seahawks 13 – Cowboys 10. Bernard Faller: This should be a good game between franchises which have exceeded many expectations this season. Both teams play a similar style pounding away at the run game with better defenses than many give credit for. I trust Russell Wilson a lot more than Dak Prescott to make plays when needed in a low scoring affair. Projected Score: Seahawks 17 – Cowboys 13. 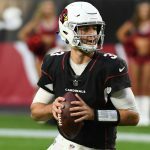 Stephen Wendell: Wow, Phillip Rivers puts up one of his best years of his career, goes 12-4 and travels to face a first-year QB in Lamar Jackson and is a 2.5 point underdog. I think it is Rivers’ time and the Chargers avenge the Week 2 loss to the Ravens and come out of Baltimore with a win. Projected Score: Chargers 24 – Ravens 20. Matt Papson: The Chargers are sneaky good, but I can’t help but take the hot hand. I have always admired the Ravens organization ability to be competitive year after year. 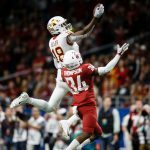 They’re seemingly always risk moving on from veterans a year early rather a year late, and it’s only been a few games, but getting Lamar Jackson with the last pick in the first round, giving them an option for his fifth season, looks like a final stroke of genius by one of the best GMs of the modern era. 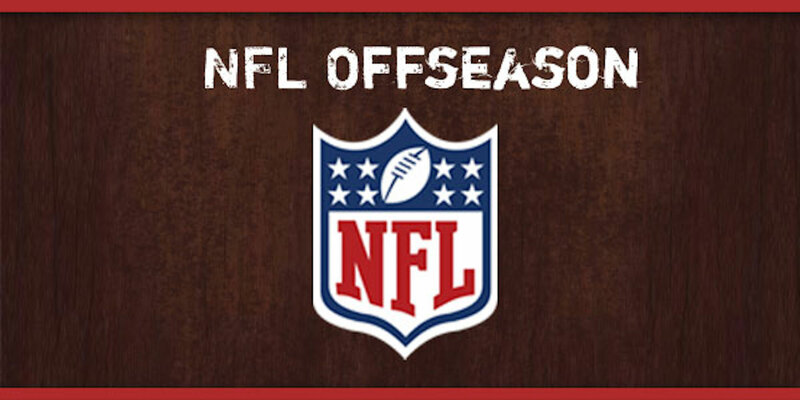 After the season, it wouldn’t be totally surprising if they decide to trade (yes, trade) John Harbaugh to another team and move forward with Eric DeCosta and a new coach with their young QB into a new era. Projected Score: Ravens 24 – Chargers 23. Kyle English: I’ll take the veteran QB over the rookie. Projected Score: Chargers 24 – Ravens 20. Matt Goodwin: Baltimore is like the Pharcyde as they want to keep “Runnin'” with rookie sensation Lamar Jackson providing the lightning to Gus Edwards’ thunder; however the Chargers offense getting off to a quick start can potentially alter the game script. In the meeting a few weeks ago in Los Angeles, an interception on an underthrown bad decision ball to Mike Williams by Philip Rivers set the tone early and took the Chargers rhythm from the game, particularly from Melvin Gordon and early penalties called back some big plays. I think the Chargers getting Austin Ekeler back from a stinger/concussion helps in the utility role and a fully healthy Keenan Allen should carve up the Ravens very solid secondary as they continue to play him in the slot where Baltimore just gave up 5-102-1 to Jarvis Landry last week. If Hunter Henry comes back (even on a pitch count) that should also help matters in the very attackable middle of the field against the Ravens. I also think that the Chargers get more pressure on Lamar Jackson this go round and in spite of being on the road, the better team wins in this one. Projected Score: Chargers 24 – Ravens 20. 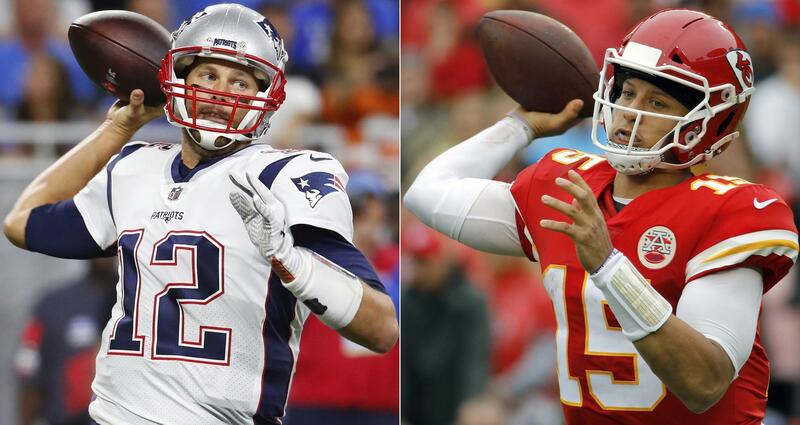 Nick Andrews: I want Philip Rivers to have a rubber match game at the Chiefs in the divisional round next week. I just can’t see the outcome of this week’s game being any different then what transpired in week 16. The Ravens play a smothering defense that doesn’t allow most offenses to go the length of the field multiple times in a game. Combine that with the fact that each offensive drive the Ravens have drains so much of the clock with their running game it puts an even greater emphasis on Rivers getting at least a score on every other drive. The only way I see the Chargers flipping the script is if rookie QB Lamar Jackson makes multiple mistakes that lead to short fields and easier scoring chances. Ravens 24 – Chargers 12. Bernard Faller: Baltimore dominated the first game between these two teams where the Ravens suffocating defense forced Phillip Rivers into his worst game of the year. Baltimore’s run-heavy approach with rookie quarterback Lamar Jackson has given teams fits so far. I believe the Chargers adjust this time around and Rivers out-duels Jackson for the win. Projected Score: Chargers 24 – Ravens 17. Luke Patrick O’Connell: The FantasyDocOC is letting his scores speak for themselves this week. Projected Score: Chargers 31 – Ravens 14. Stephen Wendell: No surprise from me here. When Wentz went down in Week 14, I texted some old Eagles buddies to chin up because Nick Foles was going to come in and win seven straight to become a Philadelphia God (he is currently a Philadelphia legend). He took care of the first three games, and I think this will be number four (remember Mitchell Trubisky is playing in his first ever playoff game). Projected Score: Eagles 20 – Bears 17. Matt Papson: The Church of Nick Foles. Projected Score: Eagles 33 – Bears 31. Kyle English: As much as I want to believe in the Foles’ magic, the Bears are the better team. Projected Score: Bears 24 – Eagles 13. 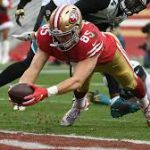 Nick Andrews: Foles Magic Part Deux is upon us once again and much like the Colts who started their playoff a week earlier than everyone, the Eagles have been in must-win mode for most of December. Unlike the Texans who I think have a good defense, I think the Bears have a great defense that, even when their offense isn’t working at full capacity, can more than make up for it. Much like Lamar Jackson in Baltimore I think all Mitch Trubisky has to do is not have negative plays and this team should easily move on to the divisional round. Bears 20 – Eagles 13. Bernard Faller: This game presents more questions than answers. How will Mitchell Trubisky react in his first post-season game? Will a Nick Foles with bruised ribs continue last season’s incredible playoff run? The one known is a Chicago defense with no true weakness decimating offenses of late. The Foles’ post-season magic dries up playing in the cold confines of Chicago. Projected Score: Bears 21 – Eagles 10. Luke Patrick O’Connell: The FantasyDocOC is letting his scores speak for themselves this week. Projected Score: Bears 17 – Eagles 14.